From private meetings to small club trips, day trips with friends and families, funerals, weddings, baby showers, engagement parties, birthdays and other occasions, Ellesmere Port Minibus is the company you should call. Are you concerned about how you will make sure that all your friends and family will arrive at the destination on time? We are the most qualified company and the one and only world-class minibus hire company in Ellesmere Port. All 12 seaters in our fleet are built, with first aid kits, functional seat adjustments, voice command entertainment and heating and ventilation systems. The seating is very comfortable so that you and your guests can travel ease and have fun at the same time. There is enough space, for your legs and luggage to maximise your comfort, peace of mind and general well-being. 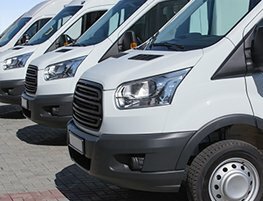 If you are in the process of looking for a 12 seater minibus to hire, get in touch with us.Ellesmere Port Minibus is the best company to handle all your transport issues in Ellesmere Port. There is one difference between world-class transfer services and subpar services; Ellesmere Port Minibus. We have a unique way of running business and we are sure you will be a satisfied client and that you will come back again. This minibus can meet your transportation needs for a wedding as it has sufficient space and air condition. With this minibus, you’d get to your destination on time looking relaxed and refreshed.